Sometimes you fall so in love with a venue, you want to use it for every kind of event. Usually, that’s an unrealistic wish…unless, of course, that venue is the 1840s Plaza in Baltimore, Maryland! At the Plaza, there’s a setting to fit any function imaginable. 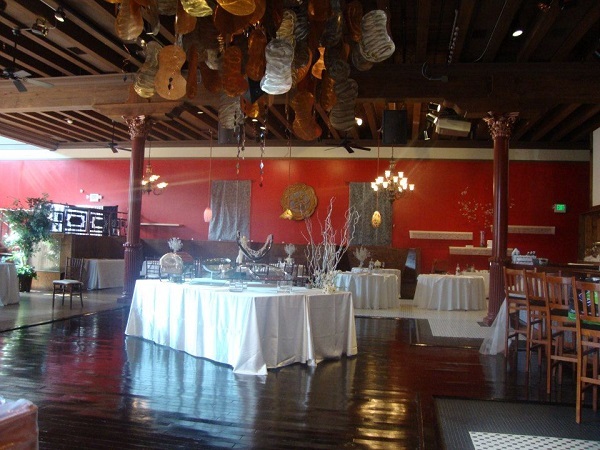 Guests can choose from the Ballroom, Cabaret or City Lites room, all located inside the historic Fava Building. A Baltimore city landmark, the Plaza acts not only as an event venue, but an alternative destination for tourists venturing to Baltimore's Inner Harbor. With elegant decor and a stunning view of the harbor, each of the Plaza's sites will bring something special to your event. 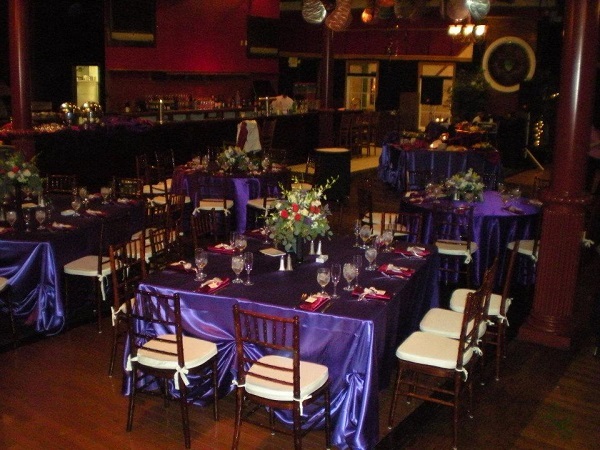 Read on to find out what each piece of this authentic Baltimore venue has to offer your wedding, corporate function or other special event! 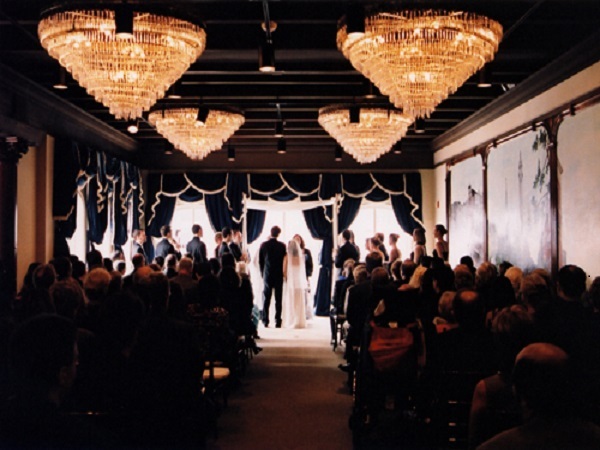 Located on the spacious fourth floor of the plaza, the 1840s Ballroom is the perfect setting for a wedding ceremony, reception or even a big birthday bash. Guests will be wowed with the impressive elegance of it's chandelier-covered ceiling. With a dance floor and space for 230 seated guests, there's room for everyone to enjoy your special day! 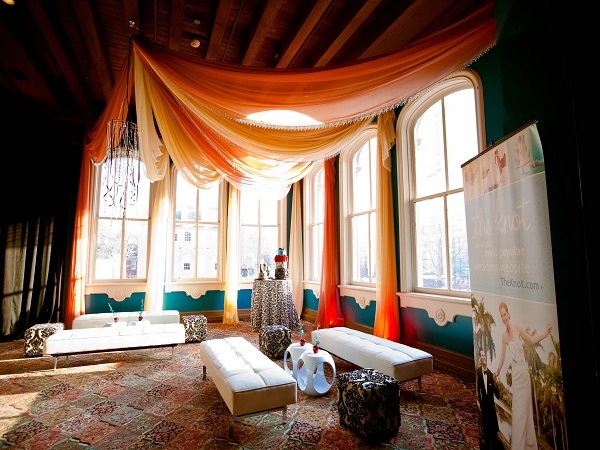 Incorporate some flair into your function with this tango club-turned-reception room! The Latin-inspired decor of the 1840s Cabaret makes the venue perfect for a night of dining and dancing. Located on the first floor of the building, the Cabaret has room for 110 seated guests. It can even act as a meeting space for a corporate meeting or seminar. Want to enjoy the beautiful Baltimore scenery during your event? The Cabaret includes a convenient entrance to the Plaza courtyard area, which can be reserved for seating and cocktails! A quick trip to the building's second floor takes you back in time to old-school Baltimore! The City Lites room is a fun experience for all, full of decor from when the building housed the Baltimore City Life Museum. 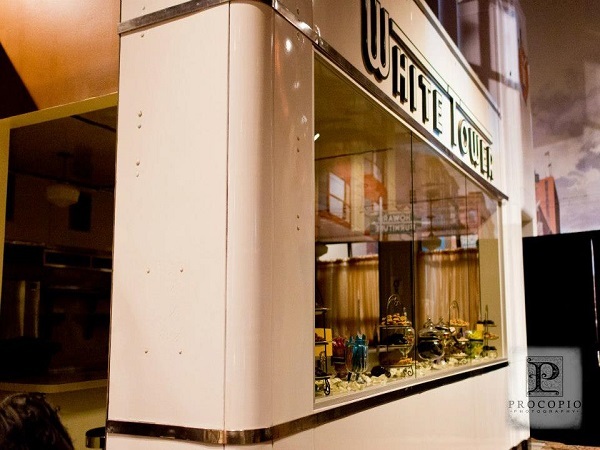 Murals of Baltimore life, as well as the historic White Tower Diner, make this venue an experience to remember. A plush lounge area full of stuffed couches adds to the unique setting, which can comfortably host 150 seated guests. 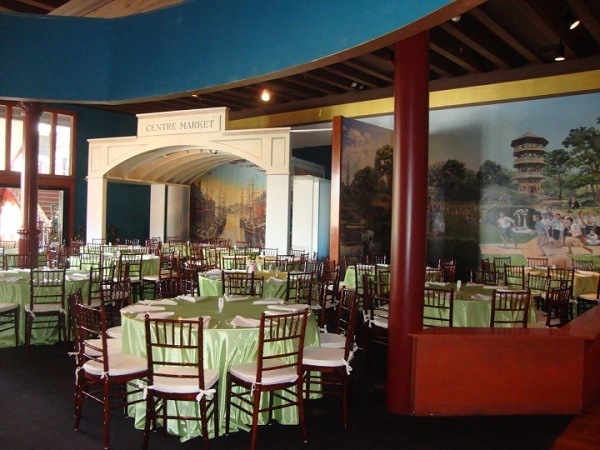 Bring the charm of classic Baltimore to your next anniversary party, fundraiser, bar or bat mitzvah, or networking event by hosting it in the City Lites room! 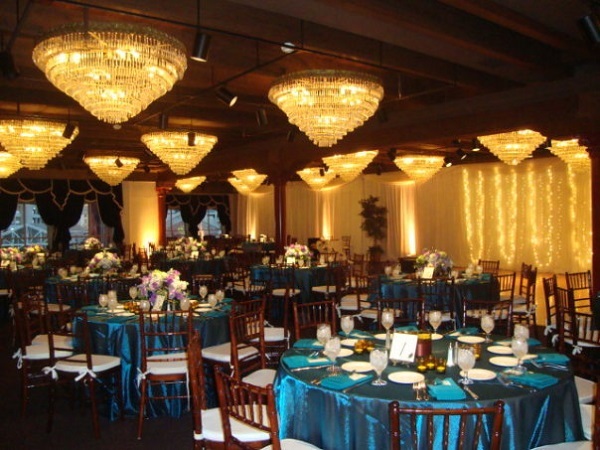 No matter which room you choose, The 1840s Plaza assures you will have a successful event. 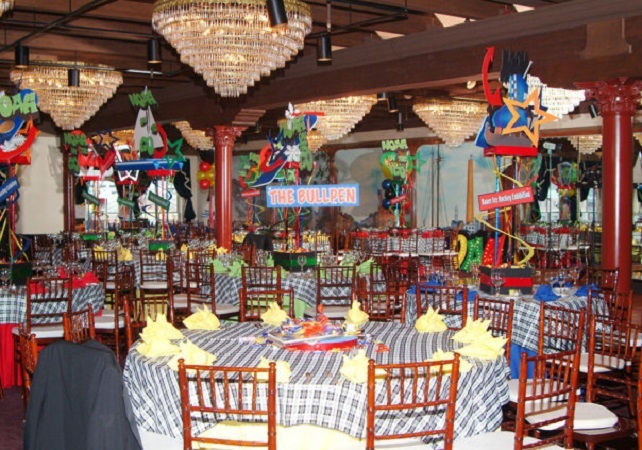 The variety of venue options makes the plaza a one stop shop for all of your future functions. If you want the old-school charm of Baltimore City with all of today's amenities, look no further than the 1840s Plaza!